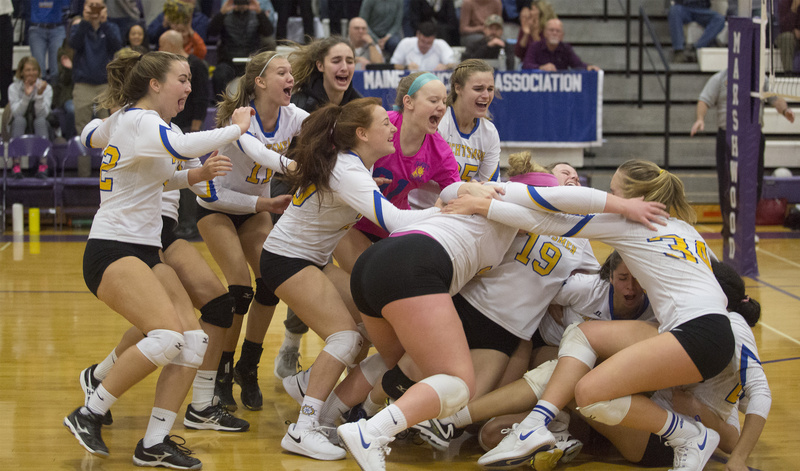 Falmouth sophomore Annika Hester falls to the fall celebrating with her teammates after the Yachtsmen beat Gorham 25-18, 25-17, 25-16 to win the Class A state championship on Saturday in South Berwick. 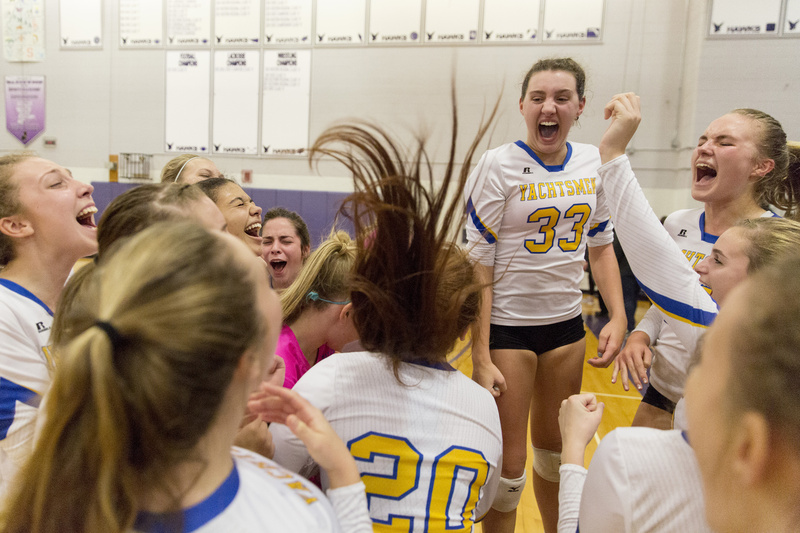 Falmouth players celebrate after they beat Gorham 25-18, 25-17, 25-16 to win the Class A state championship on Saturday in South Berwick. 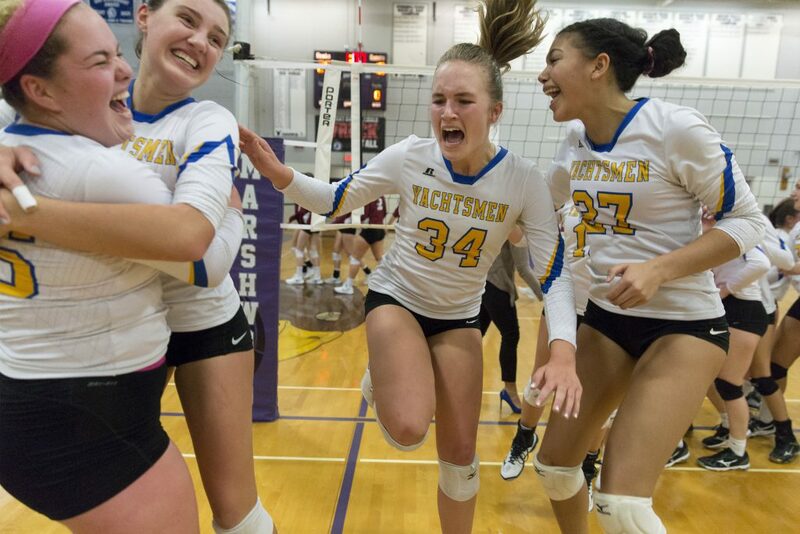 Falmouth players Summer Spiegel, Annika Hester, Katie Phillips and Rose Riversmith celebrate after the Yachtsmen beat Gorham 25-18, 25-17, 25-16 to win the Class A state championship on Saturday in South Berwick. Falmouth players Summer Spiegel, Annika Hester and Katie Phillips celebrate after they beat Gorham 25-18, 25-17, 25-16 to win the Class A state championship on Saturday in South Berwick. 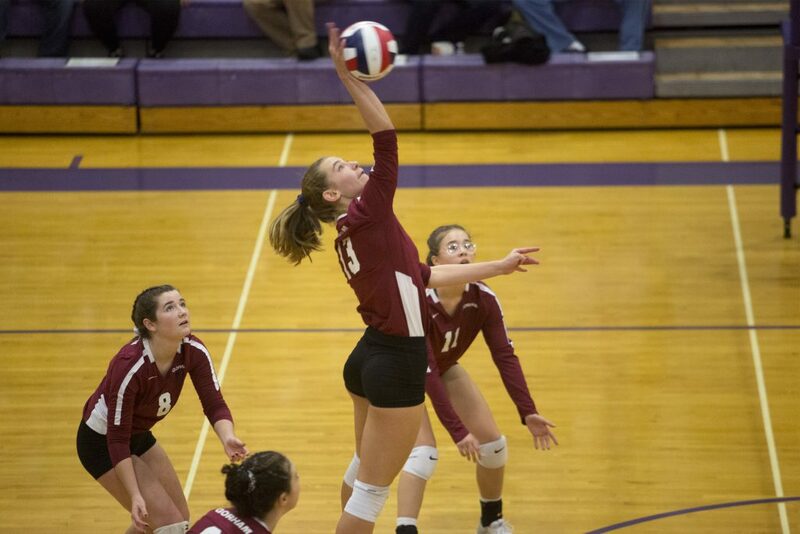 Falmouth senior Summer Spiegel sets the ball during the Class A volleyball state championship against Gorham on Saturday at Marshwood High. 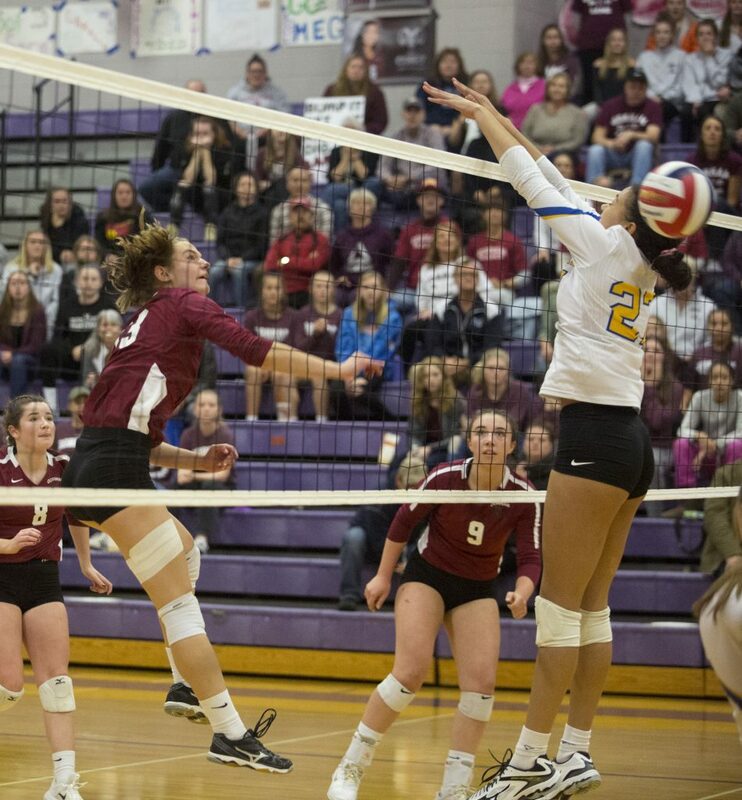 Falmouth 25-18, 25-17, 25-17. 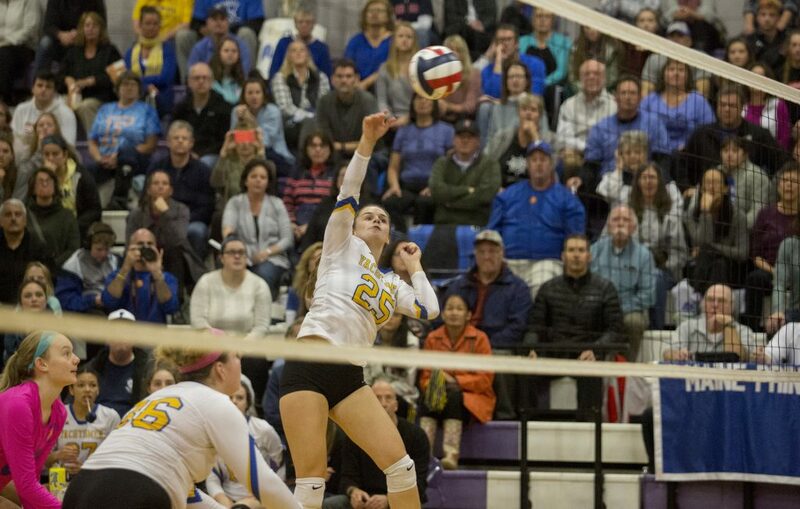 Falmouth senior Alex Burton spikes the ball during the Class A volleyball state championship Saturday in South Berwick. 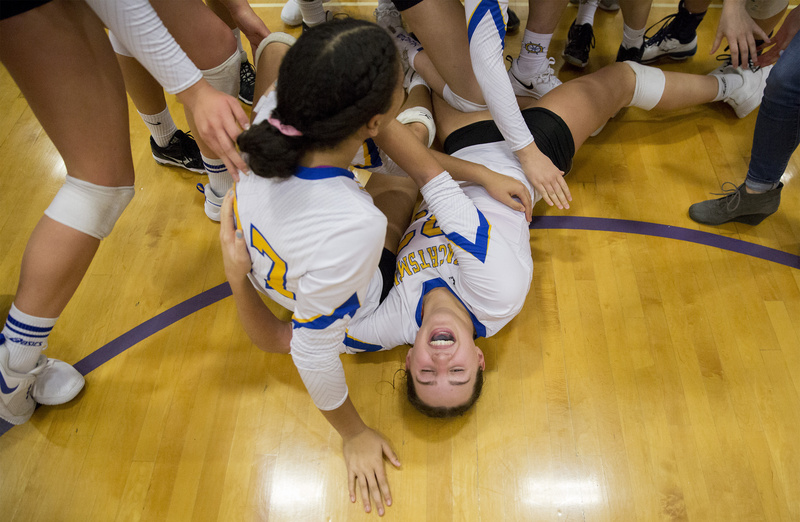 Falmouth 25-18, 25-17, 25-17. 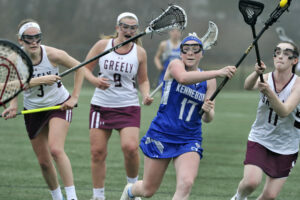 Falmouth sophomore Annika Hester hits a return during the Class A state final against Gorham on Saturday in South Berwick. 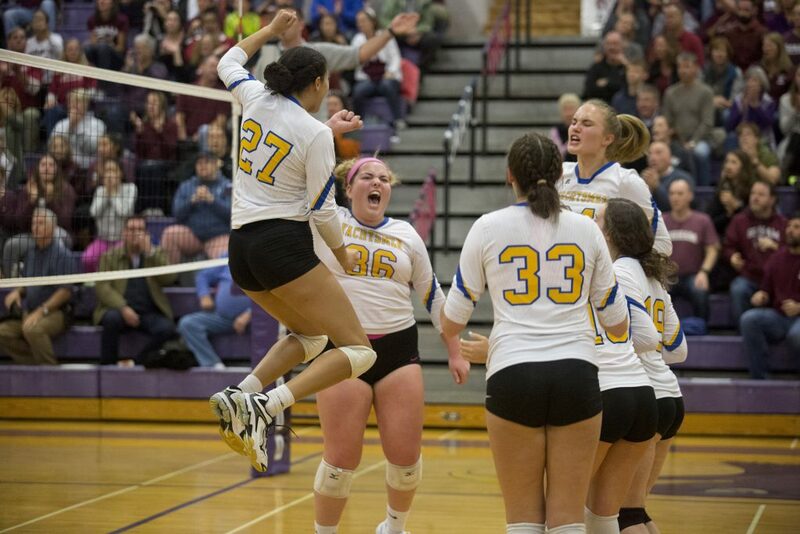 Falmouth 25-18, 25-17, 25-17. 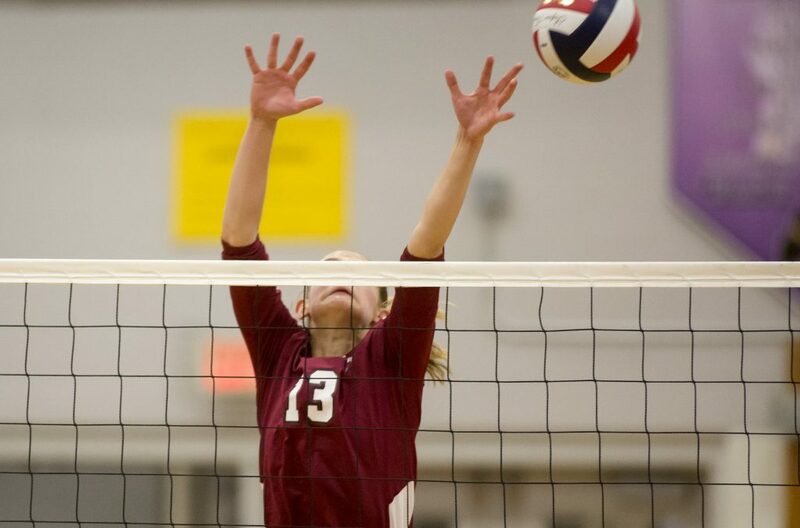 Gorham senior Evelyn Kitchenjust misses a block at the net during the Class A volleyball state championship against Falmouth on Saturday in South Berwick. Gorham senior Evelyn Kitchen spikes the ball past Falmouth junior Rose Riversmith during the Class A volleyball state championship Saturday in South Berwick. 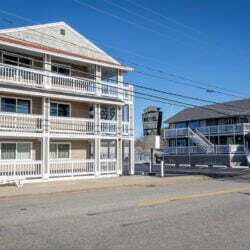 Falmouth 25-18, 25-17, 25-17. 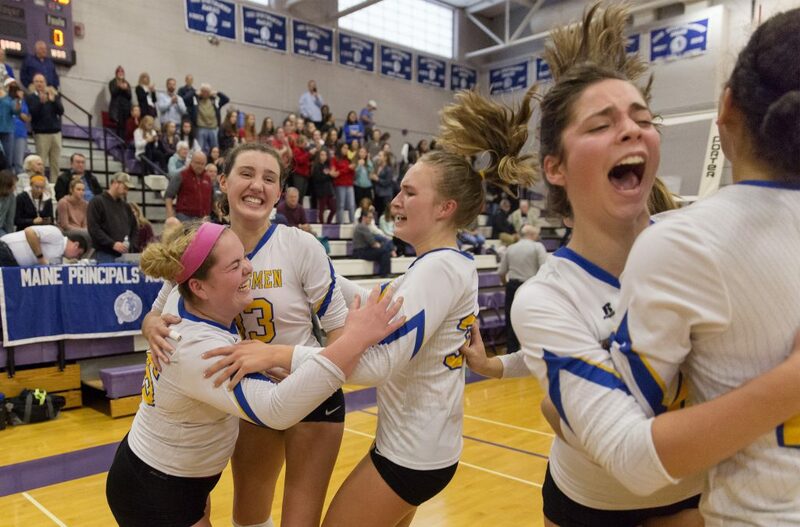 Falmouth sophomore Annika Hester, far left, and junior Rose Riversmith knock the ball back over to Gorham at the net scoring Falmouth's final point to win the Class A volleyball state championship Saturday in South Berwick. 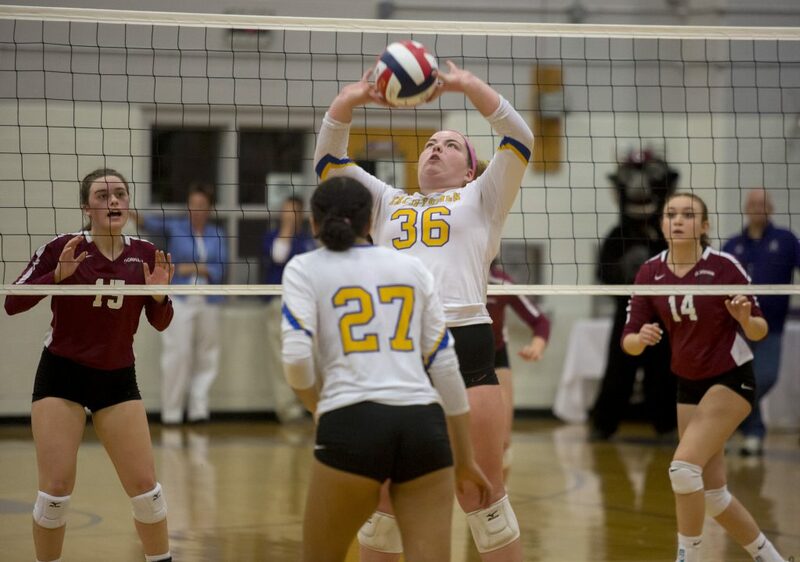 Falmouth 25-18, 25-17, 25-17. 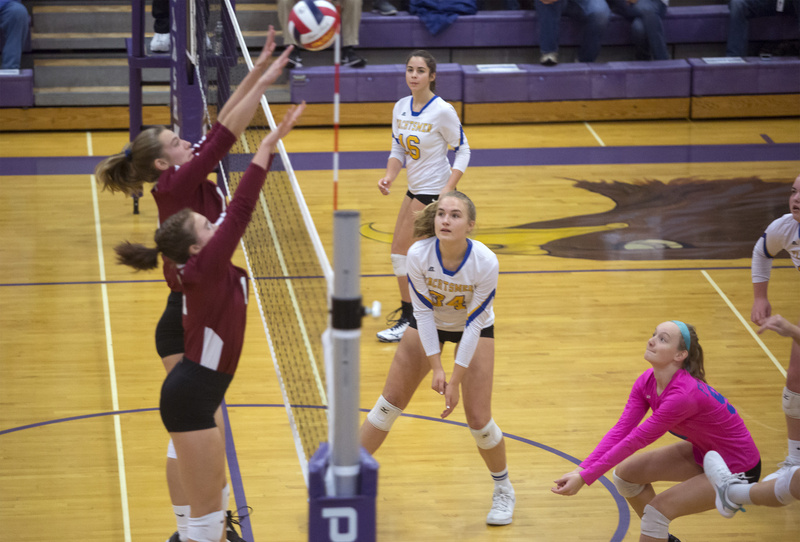 Falmouth sophomore Katie Phillips, 34, and junior Gretchen Barney, 91, get ready to play a shot by Gorham during the Class A volleyball state final on Saturday in South Berwick. Falmouth 25-18, 25-17, 25-17. 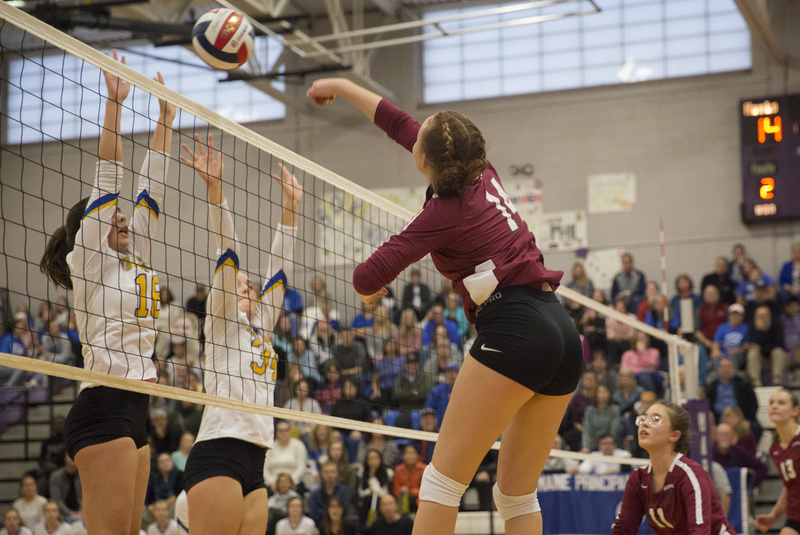 Gorham senior Evelyn Kitchen spikes the ball during the Class A volleyball state championship against Falmouth on Saturday in South Berwick. 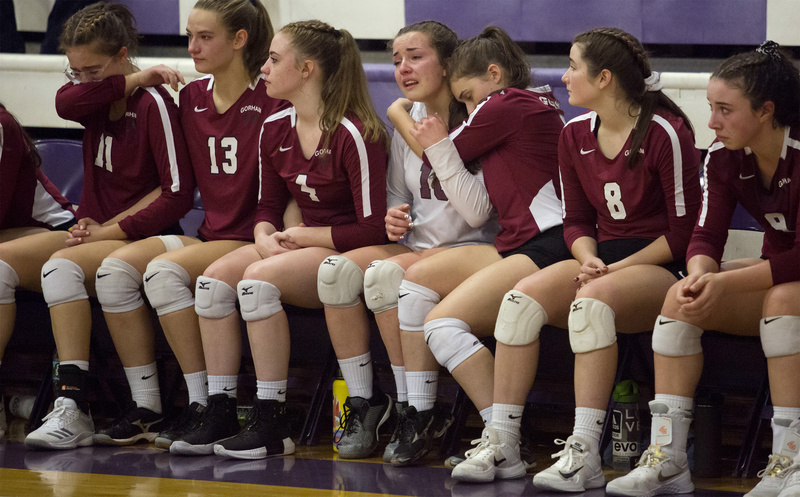 Gorham players react to losing the Class A volleyball state championship to Falmouth on Saturday in South Berwick. 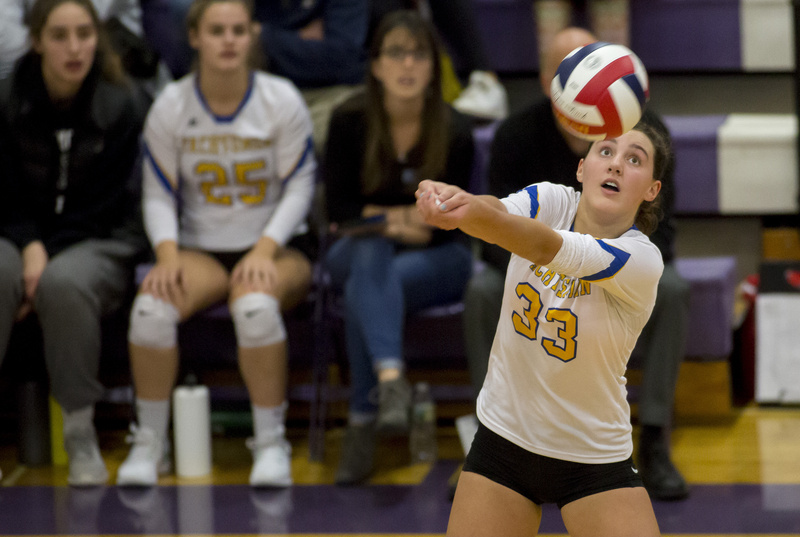 Falmouth 25-18, 25-17, 25-17. 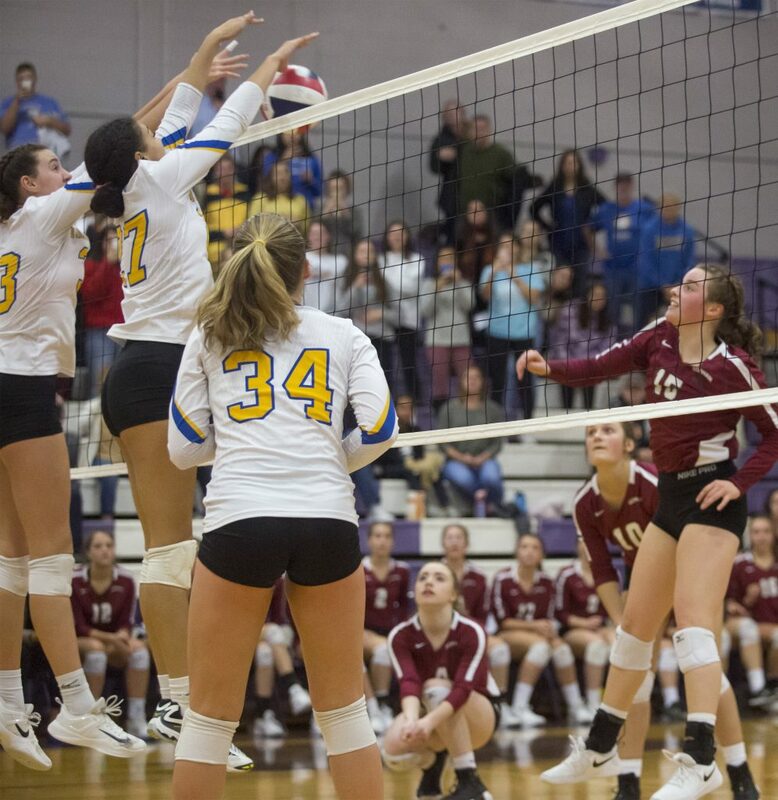 Gorham senior Maiya Carlson spikes the ball over the net while Falmouth sophomores Hillary Bouchard, 16, and Katie Phillips, 34, try to block it during the Class A volleyball state championship Satuday in South Berwick. 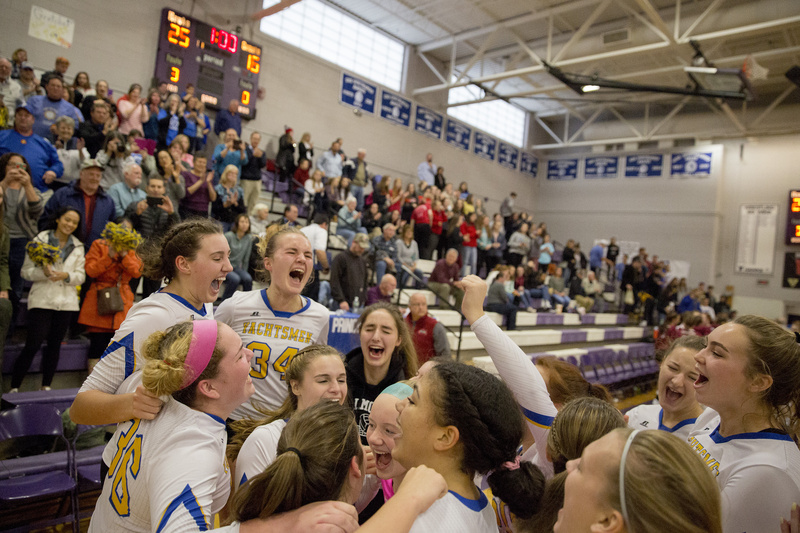 Falmouth 25-18, 25-17, 25-17.